HTC Evo 3D CDMA gets an all new update dubbed as ICS 4.0.3 firmware and in due course of article, we would be checking out a detailed tutorial to apply this update. Readers need to be aware that this is not an official update and RUU leak version neither we have any information on where there would be an official update rolling out for your device. Also, if you apply this update, your device won’t be rooted. Also, this update is not for you if you own a GSM device of HTC Evo 3D, this update is only for HTC Evo 3D CDMA and if you apply it for GSM, then you would brick your device and we won’t be responsible at any cost for the same. 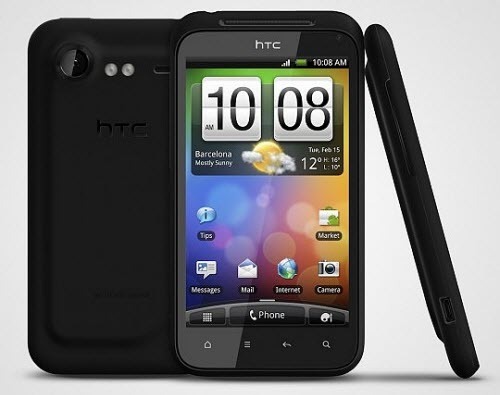 The ROM we would see today is compatible only with HTC Evo 3D CDMA. So, make sure you try this ROM only on this device, not any other device by any company. Transfer the files you downloaded to your phone’s internal memory by connecting your phone to computer using USB cable. Now we will have to enter the device into boot loader/recovery mode and to do the same, turn off your phone and then Volume up+ OK button and then hold both buttons simultaneously and press Power Button. In boot loader mode, choose ‘recovery’ to enter recovery mode. In recovery mode, select ‘Install ZIP from SD card’ and on the next screen, select ‘Choose ZIP from SD card’ and then select ICS 4.0.3 package and the installation process would start and finish in 5-8 minutes. As its done, select, ‘+++Go back+++’ and then ‘reboot System now’ and the device would restart. Congo, you have now successfully applied the update of ICS Android 4.0.3 to your HTC Evo 3D CDMA Android device. Where is the ok button on the HTC evo 3d ? Hi Derrik, the home button is the ok button. Thanks! Por favor, inténtelo de nuevo y háganoslo saber. Lo hemos actualizado con éxito aquí! No estoy seguro, ¿qué pasa con el dispositivo. Funciona perfectamente aquí. Por favor, inténtelo de nuevo y nos dará una actualización. tiene el htc sense 3.6 incluido?